How is July Almost Over?! I love summer! But I am starting to crave the boringness of winter when we become little homebodies and are always in full on chill mode. Summer has just been so go, go, go and I’m ready for a vacation… yet every weekend is a vacation! Seriously, I can’t complain but sometimes I wish everything would just pause so I could blog, clean the house and binge a Netflix show or two… is that so wrong?! How do you chill out amongst all the fun of summer? P.S. These leggings are from prAna and right now you can get 15% off any full priced item with code PSCMS18. This pullover is actually from Amazon and I know I will be ordering a few more for fall. Phish Tour: Summer seemed like it was missing something and it was Phish Tour! Tur kicked off two weeks and so far the shows have been so so good, IMO. The setlist selection has been a little all over the place. Like some first sets that looks more like 2nd sets and then just super odd, jarring song placement. What I am loving is how many good jams we have had so far. The Carini form BGA is type II blissful jam deliciousness. The following night after a song filled first set Phish opened with the TAB cover Set Your Soul Free and took it for a beautiful 23+ minute walk. Relistening to Saturday nights show I really dug the NMINML and the sheer amount of funk sirens going off in Jaboo. 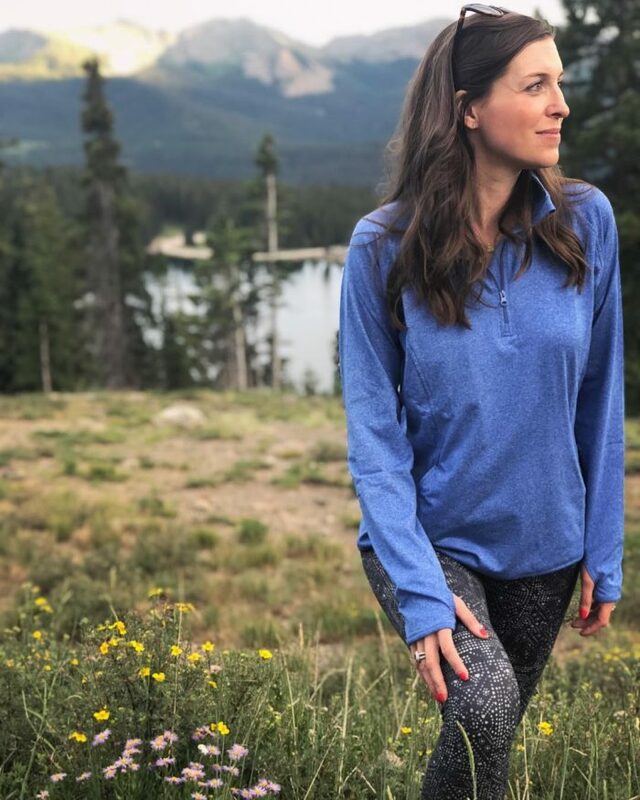 Podcast of the Week: Healthy Habits with Kelly LeVeque – The Influencer Podcast -Since we did the Whole30 back in February I have taken every chance to learn more about healthy and clean living. I listen to this podcast right after we finished Whole30 and promptly adopted the fab four smoothies into my routine. Clay and I are totally obsessed. Kelly LeVeque of Be Well with Kelly is a freaking rockstar, she breaks down health and what your body needs so simply. I really enjoyed this podcast and have sent it to multiple friends. I plan on reading her book after I finish the two business books I have been putting off eek!